Much to her delight, little has changed at The Brown Bag in Monticello. Photo Credit: Rebecca Wells. When I was a little girl my father owned a travel agency in charming Monticello. My mom and I would often hit the historic town square to walk around and check out the unique little shops. After my dad’s work was done and our afternoon of shopping was complete we would be ready for a good meal. Having lunch together at Brown Bag Deli was always the highlight of our day. We would sit together, relax and reconnect over delicious sandwiches and heavenly pie. I had the joy of visiting this place that holds so many memories for me, with my mom this past Friday. To my delight, it hasn’t changed a bit. As I walked through the old wooden door of the restaurant and deli, a wave of childhood memories washed over me. Nothing much has changed including the consistently yummy food and family friendly environment. The interior is simple and charming with an abundance of beautiful original wood. We walked up to the register and ordered our food and desserts. When you visit Brown Bag you must save room for the decadent home-made desserts. We settled ourselves into one of the generously sized booths and relaxed while our our meal was prepared. When my name was called out, I started up to the counter to retrieve our order. The food was presented in brown baskets lined with white parchment paper. Nestled in the middle were my Bonnie’s Turkey Salad on a toasted croissant ($6.50) and my mom’s Turkey Apple Wrap ($6.50). We also ordered 3 different kinds of pie. They make their desserts from scratch in small batches and use only the freshest and finest ingredients. I asked for them to be put in to-go containers in case my eyes were bigger than my stomach. I’d also picked out a huge monster cookie, it was so hard to settle on just one dessert. I excitedly gathered up the tray of goodies and was quickly en route to our big cozy booth. Our minds were filled with nostalgia as we bit into the fresh fare. 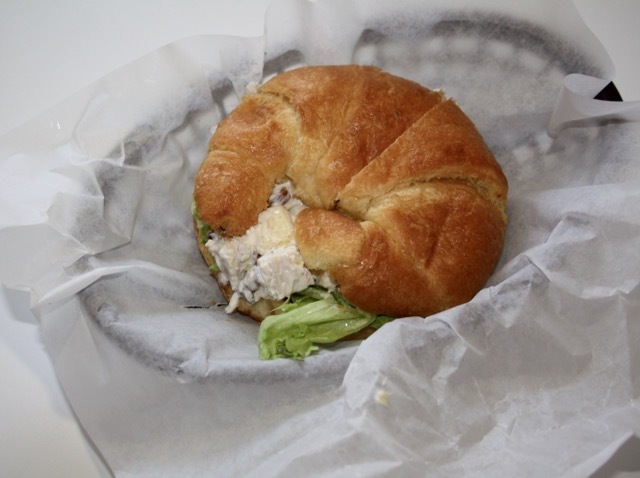 Sandwiched between the warm, buttery toasted croissant was Bonnie’s Turkey Salad. The turkey, which is roasted in-house, was tender and juicy, and the chopped pecans gave a nice crunchy texture. The sizable green grapes popped with lovely sweetness as I devoured them. It was a classic mayo-based deli salad done right. My mom’s Turkey Apple Wrap was a large flour tortilla filled with juicy turkey, sweet apples, fresh tomatoes, salty parmesan cheese and small chunks of creamy avocado. She said all of the flavors of salty and sweet mixed beautifully, and the portion size was perfect for lunch. Good thing, because we had lot of pie to eat. it was time for the dessert portion of the meal. The cherry lattice pie, a personal favorite of Rebecca’s is $3.25 a slice at The Brown Bag in Monticello. Photo Credit: Rebecca Wells. I took a few nibbles of my monster cookie and then couldn’t resist any longer, I had to try the heavenly pie. 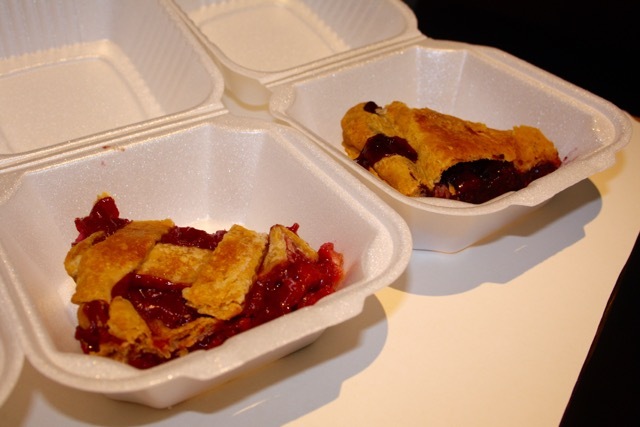 I began with my personal favorite the cherry lattice pie ($3.25 a slice). The crust was golden brown and I could taste the buttery goodness as I bit into it. The light flaky pie crust was brimming with tart cherries, swimming in a sweet glossy filling. My dining companion had a slice of the triple berry pie and also took a piece of rhubarb to go. Warning this berry pie does contain seeds. The berries were a vision of bright purple and tasted tart with just the right amount of sweetness. While we enjoyed our yummy pie the owner came over and greeted us with enthusiasm. She sat down and began to tell the us the story behind her pie maker Inge. 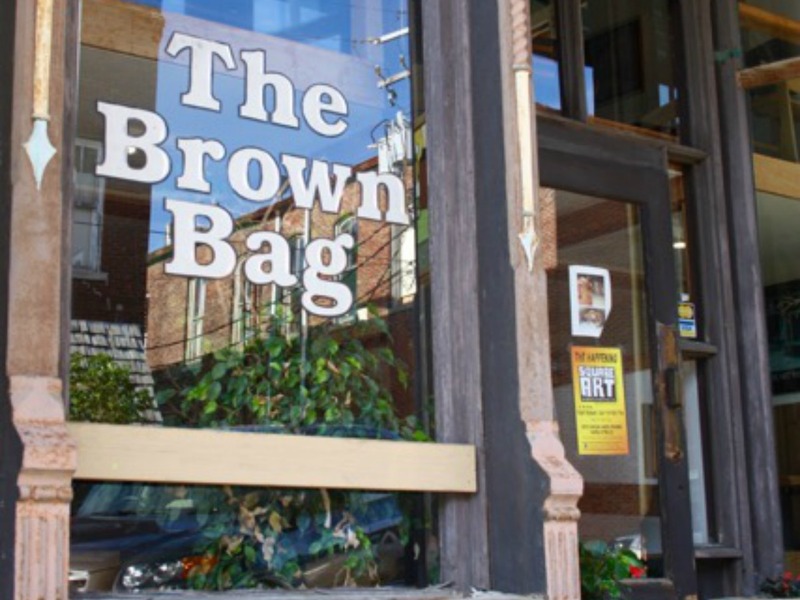 20 years ago Inge began working at Brown Bag, which at the time was a tea room. One day she decided to bake up a fresh batch of strudel to share. The door to the restaurant was propped open and the smells wafted out around the town. Before it had even come out of the oven they’d already sold out. After a while the owner Harleen asked Inge to start making pies and baked goods exclusively for Brown Bag. Over the years she has created countless sweet creations that are still served today. We thanked our generous hostess for her wonderful stories and hospitality. It was time to think about getting on the road and heading home. My mom and I had a marvelous time revisiting our old lunchtime spot in Monticello. The food is still made fresh from quality ingredients and the small town charm is forever abundant. Gather up your family and head on over to Brown Bag Deli and Restaurant to make your own delicious memories. Rebecca Wells is a Champaign-Urbana townie who stepped back from her career as a preschool teacher to stay at home with her two spirited boys. 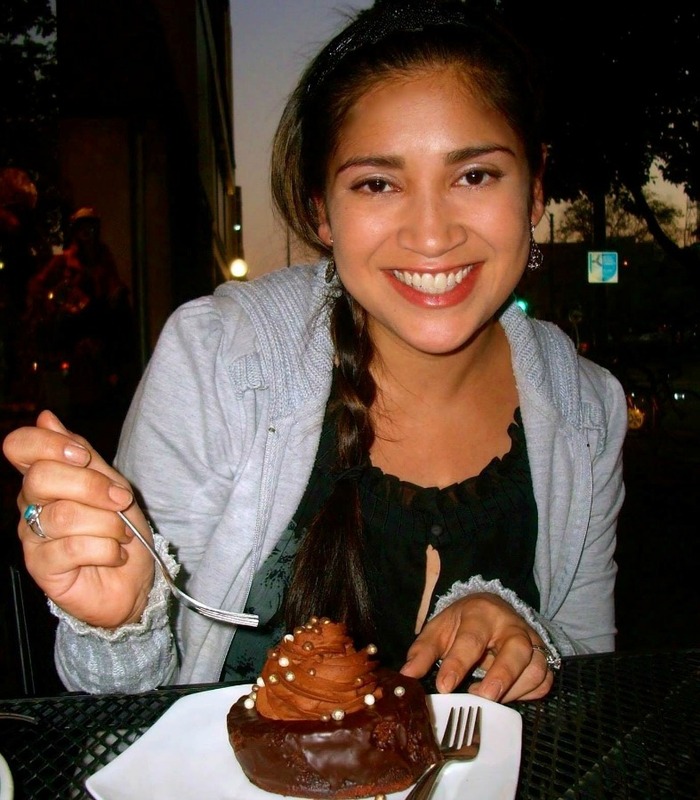 She has been a local food blogger for three years now and is thrilled to be pursuing her dream of food writing. Her other passions include cooking, singing and playing guitar with her handsome husband.